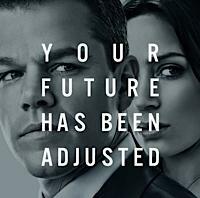 Win The Adjustment Bureau on Blu-ray! Time for another contest over at High-Def Digest's The Bonus View! Thanks to the generosity of Universal Studios Home Entertainment, we have two Blu-ray copies of 'The Adjustment Bureau' to give away! How do you win? Read on to find out. For this contest, two lucky winners will each receive one Blu-ray + DVD Combo Pack copy of 'The Adjustment Bureau' starring Matt Damon and Emily Blunt. The theme of this contest is adjustments. For your chance to win, we want you to post in the Comments section over on the blog, with your answer to this question: What one element or aspect of an existing movie do you wish you could adjust? Even the best of movies typically have something wrong with them. Maybe it’s a miscast actor, or a bad musical score, or shoddy visual effects, or just one bad scene that stands out and derails an otherwise good movie. If you had the power to go back in time and alter the course of one movie, what would you fix? For example: If we had this power, we’d like to replace Keanu Reeeves in 'Bram Stoker's Dracula' with… anybody, really. Reeves is terribly miscast in that movie, and his wooden performance stands out badly among an otherwise stellar cast. How about we take Carey Elwes (who has another part in the movie) and put him in the Jonathan Harker role, and then grab Tim Roth and put him in the smaller role that Elwes plays? That would do. That’s what we would fix. The two winners will be selected based on our own subjective discretion. This contest is only open to entrants from the domestic United States. We will not ship internationally (whether you’re a U.S. citizen or not). Employees of High-Def Digest or Internet Brands and their families are not eligible. Standard contest rules and conditions apply. People who have won any of our previous contests within the past one year are also not eligible to win, but may get Honorable Mentions. The deadline for entry is this Friday, June 17th. The winner will be announced next week. Good luck, everyone! Hurry over to The Bonus View's contest announcement to add your entries!